Well, the Free from skincare exhibition at Olympia has been and gone. A long tiring 4 days, but very exciting and rewarding it has to be said. We travelled down on the Thursday (6th July) and after fighting our way through London we finally reached our destination. In near 30°C temperatures we started to setup our stand in a glass roofed, none air-conditioned Olympia. Not pleasant as you can probably imagine, but it is what it is. Once we had finished it was off to Jan’s cousin’s to spend the night. We where now on cloud nine, and the rest of the day just seemed to fly-by. At the end of the show we walked back to the hotel, we were exhausted but very happy at the way the day had turned out. Saturday and Sunday were very similar days to Friday, with lots of interest in our new products. We were slowly realising that we hadn’t taken enough stock, as products started to sell out. We were also getting a lot of interest from shops and companies who were interested in what we were doing. As well as a few beauty bloggers who were keen to review our products (Reviews coming soon). All in all we were very pleased with the way things had gone. 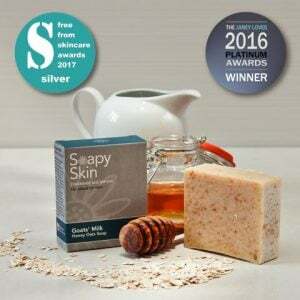 The silver award, all the lovely people we had met, the experience of such a large exhibition and the thought that more people will be using our products and realising the benefits they bring. On Sunday evening, we left to head back home, after having an amazing time in London, and meeting some lovely people.